We’ve all encountered gifted people in our lives. We’ve also all encountered athletic people. Some are faster runners than others. Some are better at certain sports like swimming or baseball. We’re used to physically gifted athletes. We enjoy watching when they play games on television. The mentally gifted, on the other hand, we don’t understand as well. In fact, some people are downright suspicious of them. Their minds operate on a different level than others. They often speak rapidly, as if the volume of ideas they are trying to communicate is too great and their words are too few. They come up with ideas in much the same way the rest of us breathe. Some of those ideas are hard for us to understand. Sometimes they don’t make any sense at all. For people of average intellect, encountering someone who is much smarter can be most unsettling. Sometimes it can lead to outright hostility. This is because people of average intellect have no idea what it is like to have a mind that is constantly in motion. They also have no idea what it does to a person when they discover nobody can understand their ideas. The gifted learn to avoid sharing their thoughts. They avoid conversation. They become isolated and sullen. They don’t understand why everyone seems to hate them. It becomes terribly painful. They are ostracized and eventually they destroy themselves. Reacting this way is exactly like walking up to a pro football player and saying “oh, you’re so much stronger and faster than everyone else, huh? Well, I’m not crippled!” Does that sound silly? It should. Just because someone has gifts you don’t doesn’t have anything to do with your worth as a person. Everyone has gifts of one kind or another. I can speak with some experience in these matters because I was a gifted child in elementary school. I completely skipped first grade. While this might sound like a great achievement, the practical result was I spent my entire academic career a calendar year behind all my classmates. I could do the work, naturally, but I often struggled to keep up socially. This was in addition to the problems I faced because of the way I think and the imagination I have. I started reading very early in life. My parents were motivated to encourage my academic achievements. I was also an only child, so I learned to rely on my mind more than most. I can exhaust people in a conversation. I often find I have to exert considerable effort to throttle my “bandwidth” so to speak. I can riff off other people’s ideas instantly. I often leapfrog a sequence of six or seven steps to reach what might seem to be a totally unconnected conclusion in seconds. I freely synthesize ideas into new ideas in mid-sentence, as if my current thought and the other thoughts are all being processed simultaneously. For me this is all perfectly natural, like walking or typing. Over the years I’ve come to the conclusion it engenders intense discomfort in others. I can’t go full throttle. Ever. Many people might think these gifts would be a glorious advantage in life. Being able to think so rapidly and come up with such amazing ideas so quickly must be such a wonderful experience! The truth is for most people like myself, it is a social and professional disaster. One of the recognized forms of being “gifted” is something called “synesthesia.” The best way to describe it is to imagine what color a certain sound is. Synesthetes hear colors and feel scents. When asked to describe their sensations to others, it is extraordinarily difficult. Gifted children and adults face exactly the same kind of problem. As a society we go out of our way to accommodate special needs students in school. We do this so they can keep up with the mainstream of the class. A laudable goal. But what do we do if we have a student that is far ahead of their classmates? What if that student is far ahead of their teacher? Let me describe what that experience is like so you can understand the problem better. Imagine for a moment a fifth grader who has no friends at school. She has an IQ of 175. Her teacher doesn’t understand what she is saying half the time. Her parents love her, but they can’t engage with her mentally because it is exhausting for them. They do everything they can to find ways to let her advance academically, but there is only so much they can do. The other kids make fun of her because she sounds like the teacher when she is called on in class. They can’t understand her either. She always says such weird things. What a strange girl. Inside that girl’s mind, ideas are forming and expressing themselves as images, sounds and colors on a constant basis. When I say constant I mean constant. It never turns off. If she gets absorbed into some train of thought, she can go for hours without rest or food. The volume of material she can produce, whether it be written, or drawn or spoken, can be astonishing. We all know nobody is ever going to read the 18 pages she wrote. Well, what if someone did? What might they discover in her words? When that fifth grade girl looks at a park, for instance, she doesn’t just see the pond and the ducks and the trees and grass. She also sees butterflies and flowers and a purple sky and glorious white horses prancing. A moment later she sees a magnificent bird the size of an airliner. A moment after that she sees an outdoor ball with gowns and princes and pleasant music and garlands all around. All that happens in the space of 30 seconds. The other kids just saw ducks and a pond, grass and trees and they ran off to play. The girl just stands there enraptured by her own imagination. Suddenly there is a castle that soars into a sky full of stars and planets. She desperately wants to share what she experiences with others, but she will never be able to, because they don’t understand why she is talking about princes and ponies and a purple sky. They just want to play dodgeball. What a strange girl she is. She can see colors in her mind that don’t exist in our world. Think about that for a minute. If you saw a color in your imagination that doesn’t exist in the real world, how would you describe it to someone else? You couldn’t. Now what if you really wanted someone else to experience what you’ve experienced? How frustrating would it be for the other person to be impatient or suspicious of you? What if they didn’t want to be your friend any more? What if all the other kids in school behaved the same way? That’s what it is like to be a gifted child. The loneliness is unbearable. What happens when gifted children grow up? Well, I’ll tell you. They either become visionary one-of-a-kind entrepreneurs or they become supervillains. There’s no middle ground. Why? Because society won’t let them be anything else. In our current paranoid workplace culture, anyone who stands out for any reason is immediately targeted for punitive action. The “corporate culture” will not tolerate troublemakers, and there is nobody on Earth more likely to make trouble than someone who has a lot of new ideas and talks in meetings too much. They are the people who improve things and get the attention of the boss, who *gasp* might reward them. Resentment spreads. Envy follows. “No good know-it-all making us look bad–” We’ve all experienced it. We’ve all lived it. What happens to the smart guy at work? I’ll tell you: He’s not going to last long. Eventually the average members of the team will join forces and get them fired so things can go back to the way they were before that loudmouth started giving the boss ideas. Effervescent imagination and visionary ambition are not high on the list of corporate priorities. They want scriveners who will show up on time, do their thing, pick up their lunchbuckets and go home, and if they can manage to keep their mouth shut for the majority of the time they are at work, so much the better. Remember that girl from the fifth grade? Her magnificent birds and prancing horses aren’t going to be received by her co-workers they way she thinks. The more she tries to spread her own wings and reach for her own potential, the more hate she is going to inspire in her colleagues. That hate will eventually find its way to the boss, where it will be corruptly formed into a weapon and used to destroy her. By now you might recognize what I’m describing here. It’s called bullying. It’s exactly the same thing that happens to the little kid with the glasses at school. He can read at a 12th grade level, but that doesn’t stop his average fourth grade classmates from throwing his books over the fence into the mud, or taking a hammer to his bike, or stomping on the glasses his parents could barely afford. He’ll also find no refuge by complaining to the teacher, because he or she is tired of his know-it-all attitude too. Simply put, it is incredibly easy for a gifted child to reach a point where literally everyone but their parents is their enemy. Now it’s not just unbearable loneliness. It’s open hostility. The gifted person’s interlocutors won’t say it, but they are thinking it because the film Office Space was not just a comedy. It was a documentary. The metaphor I like to use when describing this characteristic of the human race has found its way into a number of science fiction stories. In the story there’s a plague or some kind of complex problem that the really smart doctor or scientist is racing against the clock to solve. Outside their tiny lab is the fearful rabble, who have been driven into a frenzy thinking the smart guy is working against them. Smart people are bad and dangerous, you see. Moments before the scientist has their breakthrough, the smudged filth-covered idiots break into the lab and smash everything. The scientist is beaten bloody and is forced to watch as all is lost. Pretty standard stuff. Very dramatic, but also instructional. 85% of people have an IQ below 115. Put bluntly, 115 is not genius-level. 100 is average. While 115 is above-average and probably occasionally capable of unique insight, it isn’t genius-level. What this also means is that five out of every 30 people or so have an IQ above 115. One out of every 30 people has an IQ above 130. One in 1000 has an IQ above 145, which is considered genius-level. Einstein is estimated to have had an IQ of about 160. This means a medium-sized elementary school class has five superior intellects on average, and a large high school has two certified geniuses at any given time. Most people have never thought about this issue this way. What is most distressing about all this is the following hypothetical question: How many great advancements have been forever lost to humanity because these gifted people have had their metaphorical labs overrun by idiots? How many of them found that their gifts were better invested in maintaining a low profile and avoiding problem solving because it saved them from losing their jobs? How many were tormented and provoked into violence or vendettas by bullies or bureaucrats? How many of them couldn’t hold a job because their co-workers or boss (or both) wouldn’t tolerate them? I’m pretty sure I don’t have to go into what becomes of someone when they can’t hold a job in America. One of society’s most consistent big businesses these days is guiding unemployed people and debtors into jail. What happens when a genius decides they want to get back at the people that hurt them? Considering the weakness and inadequacy found in most of our civic institutions, one imagines the worst. Ultimately our government’s only tools are incompetence, clubs, guns and explosives. They move from one to the next until the problem is “solved.” Very much like the cro-magnons that smash the lifesaving lab. Oh, some smart guy is pissed off because he can’t find work? We’ll send some armed gorillas ’round to shut him up. For my part, I found an outlet for my intellect through writing and works of fiction. I have been politely (and in some cases impolitely) dis-invited from the modern workplace because I don’t fit in. I’m academically qualified to teach, but if you think the average workplace is paranoid, you really don’t want to experience the average public school. You see, I go to work to accomplish something and get paid for it. That really isn’t a high priority for most employers nowadays. They are far more interested in nerf guns and wearing Hawaiian shirts to demonstrate how much of a “team player” you are. If you don’t participate in the reindeer games, the boss will laugh and call you names. And then fire you and upend your life. At this point it’s easy to imagine this article serves no purpose other than to complain about a problem human beings have always faced. But I have a solution. I have a path to success and happiness for those children who find themselves cut off from the mainstream because they were born too smart. My solution might even serve as an option for those adults who have struggled with their gifts all their lives. It really is very simple and it wouldn’t cost much at all. Gifted children should be advanced to their own classroom on occasion and assigned a teacher who is trained to deal with their rapid-fire attention span and high-speed/low-drag imagination. The gifted class should be equipped with whatever they ask for: Toys, games, computers, tools, raw materials, books, videos, whatever. It should be the ultimate elective class. Completely self-directed. They ask, teacher gets. Let them spread their wings and see how far and how high they can really soar. If you are finding yourself experiencing resentment, stop for a minute. Let me explain why this is important. When gifted children play, they are likely to come up with things that we can’t imagine. A properly equipped “gifted students lab” might be the site of an invention no amount of corporate capital will ever be able to buy. These kids will try to build things none of us would dream of because they don’t know any better. They don’t know how hard it is. The best part is they just might pull it off. And then what? Symphonies. Patented electronics. Aircraft. New kinds of fabric. Soft drinks. Pet feeding machines. Cakes and cookies. Woodworking. New kinds of engine fuel. Works of fiction. Art. Skits. Weather stations. Radios. Human footsteps on Mars. All of that might happen in a matter of months, and in the process those children, freed from their society-imposed shackles, will finally be able to create as they wish. Why should we put up with it? Because we will all share in their achievements. I’ve always said “give me three motivated geniuses and a million dollars and I will solve any problem.” Every elementary classroom in America has five superior intellects and every high school has two geniuses. What could we have if we would just let them be who they already are? Where might that little girl fly on her magnificent colorful bird and what if we all could follow? My priorities might be a little different than others but I think most parents would agree they would want one of those three things to be reading. There is no doubt that reading improves educational performance among all ages and all achievement levels. The best part is it doesn’t matter what your child is reading. It could be a comic book, a history book or a story about pirates. The more children read, the better they get at learning. Books have a unique magic that other media cannot duplicate. They inspire something called the “fictive dream,” where a reader and an author work together to create a story that takes place entirely in the mind. Active minds create opportunities to learn, whether it is facts on the page, new words a young reader has never encountered before or just dreaming about what a faraway place or time might have really been like. There is no activity a child can engage in that can be potentially more rewarding. My other two priorities would be going outside to play and explore and either playing or practicing music or a musical instrument. I have to admit those two are my based on my own experiences as I was heavily involved in both sports and music growing up and in school. “We should keep one candle lit all the time, huh?” Jessica said. “Especially at night, otherwise we won’t be able to see at all. This place is going to be pitch black after dark,” Shannon added. “How come it makes sparks like that when you hit those rocks together?” Cici asked, playing with the little pieces of flint. Talitha nodded, confirming Jessica’s explanation. Just enough to introduce the idea. Kids who read this might be inspired to go look up the rest of the story. There are numerous moments like that in each book. I plan ahead to make sure I have plenty of opportunities for learning moments. It makes my LadyStar and Ironjammers novels more than just novels. I want them to be inspirational and encourage readers. 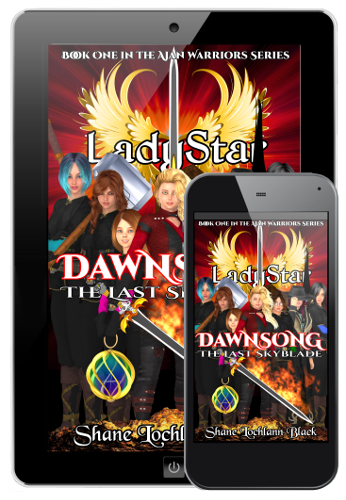 I’d like to encourage you to consider a LadyStar story for your next book purchase. I think you’ll agree they help make learning fun and will make your son or daughter want to read more. If you’d like to see some sample chapters from Dawnsong The Last Skyblade, you can read them in the Library-Tron. Reading more is always a good thing. Posted in Literacy No Comments on What Do You Want for your Kids? If you’re a mom or dad, I’m about to show you how to get $1000 worth of books (or more) for your child without spending a cent initially. No catch. No hidden fees. No fuss. As you might already know if you’ve read my work I have a degree in English Education. Reading is important to me and I know it’s important to parents. It is one of the skills I’ve long been inspired to improve. I consider myself an above-average advocate for literacy, especially for elementary, middle school and high school students. The more someone reads, the more they improve many different skills. Critical thinking, writing, research, public speaking and reading comprehension all improve naturally when someone reads often. These are among the most crucial basic skills any student can have regardless of their chosen field of study. Reading is the very bedrock of all education. If you want your children to get the best start in life they can, reading should be your absolute top educational priority. This doesn’t mean your kids have to read textbooks or academic works from the moment they can turn the pages. The great thing about reading is all those benefits I listed happen even if you’re reading your favorite space novel, adventure series or pirate story. To take full advantage of a program like Kindle Unlimited, you should start with a new Kindle if you can. The newest models are very reasonably priced and some are even designed for young readers. Amazon has installed parental controls in most of the color tablets, so you don’t have to worry about inappropriate content and you’ll have a chance to vet your child’s choices. Even if you don’t get a Kindle, you can make use of Kindle Unlimited on any mobile device including tablets and phones through Amazon’s Kindle App. If you have the Fire Tablet like mine, some books can be set to read out loud! 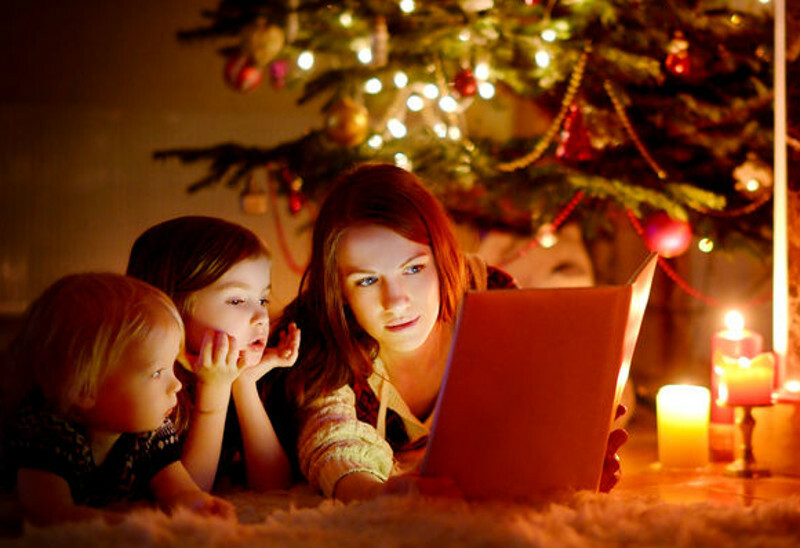 So you and your children can listen to books as well as read along. The first 30 days of Kindle Unlimited is free.Once you sign up, you will be able to check out up to ten books at a time, read them and turn them back in to check out more. You don’t have to pay the cover prices. All you have to do is pay the monthly subscription fee which is $9.99. Think of it as Netflix for books. Here’s the best part: Right now there are over 50,000 titles eligible for Kindle Unlimited in the Children’s eBooks category. If you paid full price, a library that size could easily run a half-million dollars or more! But if you’re part of the program, your kids get access to all those books at no additional cost. Once you have access to Kindle Unlimited, you’ll find enough reading material to keep any child occupied for years, and they will never run out of new books to try out. Even if you cancel after the first 30 days and don’t pay for the second month, you’ll still be able to download and read a thousand dollars or more worth of top quality material: Enough to give a family of any size a library without limits. I plan to write occasional articles on interesting books I find in Kindle Unlimited. If you’d like to keep up with my recommendations, consider joining my mailing list. I’d love to hear about your experiences with Kindle Unlimited, and learn about any great books you find. Perhaps I can pass along what you discover. Be sure to add your recommendations in the comments and enjoy your next great read!